Halewood charity of the year 2018 - who will you nominate? This week, Halewood Operations is launching voting for our next ‘Charity of the Year’. 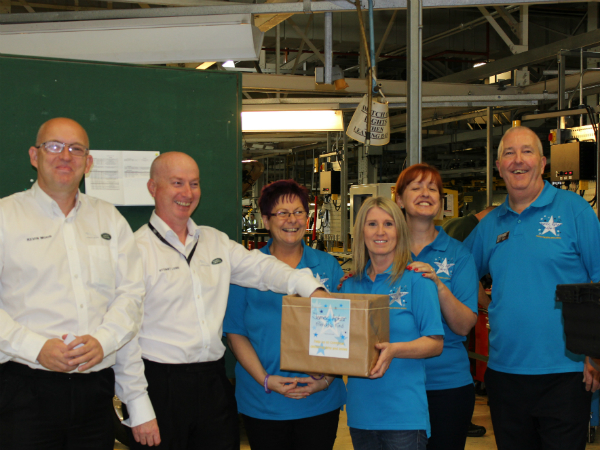 This week, Halewood Operations is launching voting for our next ‘Charity of the Year’. Our employees and suppliers have helped raise over £200,000 for Down Syndrome Liverpool and The James Apter Friendship Fund over the past two fundraising periods. The selection process will comprise of two stages. From Monday 8 January to Friday 26 January, employees from across the plant can vote for any local charity which meets the below criteria which they think most deserves our support. A copy of the form is with this weeks People Talk, please post your nominations in the post boxes in the People Centres. A final voting stage, comprising of a shortlist of several local charities with the most votes, will take place from Monday 5 February to Friday 23 February. The charity which receives the most votes will be announced in March 2018 and will be the plant's charity of the year until April 2019. The Charity of the Year Committee will review the final results and may allocate a percent of total fundraising to some shortlisted charities to increase the number of people we can help. The charity must be a local charity or a local branch of a national charity which supports local people. RELEVANCE - Have you seen news on the TeamTalk website that you haven't seen in any other places?